Converting a byte array to String seems easy but what is difficult is, doing it correctly. 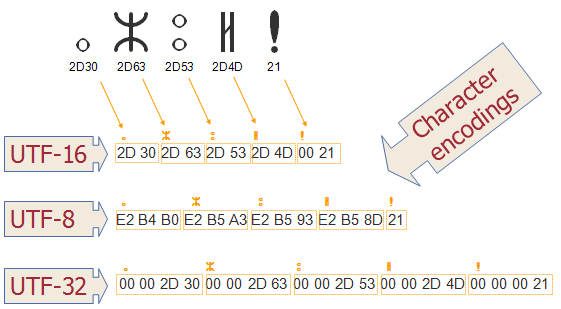 Many programmers make mistake of ignoring character encoding whenever bytes are converted into a String or char or vice versa. As a programmer, we all know that computer's only understand binary data i.e. 0 and 1. All things we see and use e.g. images, text files, movies, or any other multi-media is stored in form of bytes, but what is more important is process of encoding or decoding bytes to character. Data conversion is an important topic on any programming interview, and because of trickiness of character encoding, this questions is one of the most popular String Interview question on Java Interviews. While reading a String from input source e.g. XML files, HTTP request, network port, or database, you must pay attention on which character encoding (e.g. UTF-8, UTF-16, and ISO 8859-1) they are encoded. If you will not use the same character encoding while converting bytes to String, you would end up with a corrupt String which may contain totally incorrect values. You might have seen ?, square brackets after converting byte to String, those are because of values your current character encoding is not supporting, and just showing some garbage values. I tried to understand why programmes make character encoding mistakes more often than not, and my little research and own experience suggests that, it may be because of two reasons, first not dealing enough with internationalization and character encodings and second because ASCII characters are supported by almost all popular encoding schemes and has same values. Since we mostly deal with encoding like UTF-8, Cp1252 and Windows-1252, which displays ASCII characters (mostly alphabets and numbers) without fail, even if you use different encoding scheme. Real issue comes when your text contains special characters e.g. 'é', which is often used in French names. If your platform's character encoding doesn't recognize that character then either you will see a different character or something garbage, and sadly until you got your hands burned, you are unlikely to be careful with character encoding. In Java, things are little bit more tricky because many IO classes e.g. InputStreamReader by default use platform's character encoding. What this means is that, if you run your program in different machine, you will likely get different output because of different character encoding used on that machine. In this article, we will learn how to convert byte to String in Java both by using JDK API and with the help of Guava and Apache commons. 2) If you are reading byte array from any text file e.g. XML document, HTML file or binary file, you can use the Apache Commons IO library to convert the FileInputStream to a String directly. This method also buffers the input internally, so there is no need to use another BufferedInputStream. In order to correctly convert those byte array into String, you must first discover correct character encoding by reading meta data e.g. Content-Type, <?xml encoding="…"> etc, depending on the format/protocol of the data you are reading. This is one of the reason I recommend to use XML parsers e.g. SAX or DOM parsers to read XML files, they take care of character encoding by themselves. If you are reading bytes from input stream, you can also check my earlier post about 5 ways to convert InputStream to String in Java for details. Here is our sample XML snippet to demonstrate issues with using default character encoding. This file contains letter 'é', which is not correctly displayed in Eclipse because it's default character encoding is Cp1252. This will use platform's default character encoding, which is Cp1252 in this case, because we are running this program in Eclipse IDE. You can see that letter 'é' is not displayed correctly. To fix this, specify character encoding while creating String from byte array, e.g. By the way, let me make it clear that even though I have read XML files using InputStream here it's not a good practice, in fact it's a bad practice. You should always use proper XML parsers for reading XML documents. If you don't know how, please check this tutorial. Since this example is mostly to show you why character encoding matters, I have chosen an example which was easily available and looks more practical. Here is our sample program to show why relying on default character encoding is a bad idea and why you must use character encoding while converting byte array to String in Java. In this program, we are using Apache Commons IOUtils class to directly read file into byte array. It takes care of opening/closing input stream, so you don't need to worry about leaking file descriptors. Now how you create String using that array, is the key. If you provide right character encoding, you will get correct output otherwise a nearly correct but incorrect output. * and then use them while converting byte array to String. Use character encoding from the source e.g. Content-Type in HTML files, or <?xml encoding="…">. Use XML parsers to parse XML files instead of finding character encoding and reading it via InputStream, some things are best left for demo code only. Prefer Charset constants e.g. StandardCharsets.UTF_16 instead of String "UTF-16"
This rules should also be applied when you convert character data to byte e.g. converting String to byte array using String.getBytes() method. In this case it will use platform's default character encoding, instead of this you should use overloaded version which takes character encoding. That's all on how to convert byte array to String in Java. As you can see that Java API, particularly java.lang.String class provides methods and constructor that takes a byte and returns a String (or vice versa), but by default they rely on platform's character encoding, which may not be correct, if byte array is created from XML files, HTTP request data or from network protocols. You should always get right encoding from source itself. If you like to read more about what every programmer should know about String, you can checkout this article. - Don't use String(bytes), Instead use new String(bytes, encoding). - Never use String.getBytes(), Instead use string.getBytes(encoding). - Avoid using new InputStreamReader(inputStream), rather use new InputStreamReader(inputStream, encoding). - Never use new OutputStreamWriter(outputStream), Instead use new OutputStreamWriter(outputStream, encoding). this list can go on and on, while passing byte array, also check the API if an overloaded method exists which also takes encoding, find it and use that. Static code analyzers such as FindBugs and PMD can help find instances here the character encoding was not specified properly.